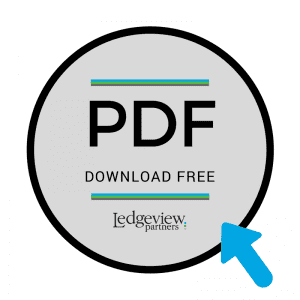 Carson uses Ledgeview’s CRM for Oil & Gas to fuel strategic growth. Carson was founded back in 1938, and over the years the company has expanded its business to include a staggering array of different products and services. Carson first started by providing home heating oil to customers in Oregon and Southwest Washington. Today, Carson has expanded and operates more than 70 locations, including branch offices and transload facilities across Oregon, Washington, California, and Utah. 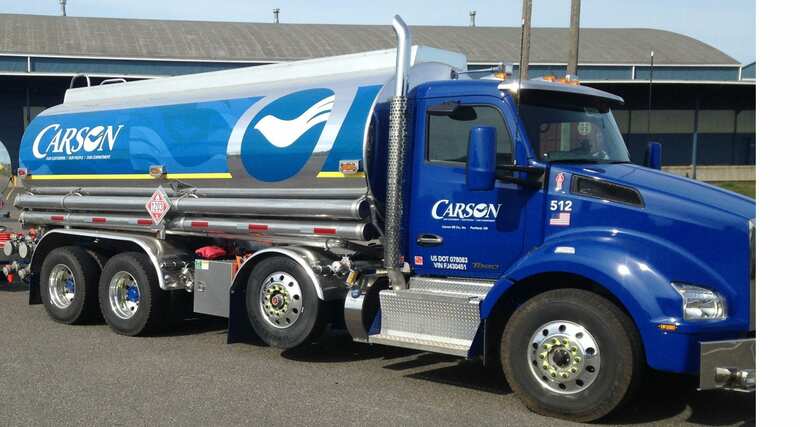 Beyond fuels and lubes, Carson has divisions that specialize in things as diverse as carwash equipment, HVAC equipment and service, convenience stores, transload operations, and cardlock facilities. Since the company did not have an effective, and more importantly, well-adopted system for keeping track of customer data, Carson was missing opportunities to increase its share of wallet among its customers because it just didn’t have access to the information it needed to make strategic decisions at that level. There was an opportunity to change that as Carson began the process of becoming a 1st Source Elite Marketer for Chevron. To become a Chevron 1st Source Elite Marketer, a prospective company has to go through an audit and configuration process called “Project Transform.” One of the requirements of the process is to implement a CRM solution, enabling the marketer to give Chevron specific required reports on a regular basis. CRM offered a much bigger opportunity than he and his team had originally realized. If they could leverage CRM across all of the company’s divisions, they could really spur efficiency and growth in overall share of customer wallet. They didn’t have the internal CRM leadership expertise that would allow them to effectively leverage a CRM system. They’d need to find someone who had that knowledge, and the sooner the better. Very soon after that realization, Carson brought in Corey McCort as their Vice President of Sales and Marketing. McCort had previous CRM experience, and had worked with other CRM implementations with large organizations. McCort’s specific charge was, “To make sure everyone was on the same page across all divisions.” Naturally, he focused pretty quickly on the company’s CRM system, and he quickly discovered there was a problem. The CRM system that Carson had chosen was extremely limited and antiquated. Even though Carson had invested a considerable amount of money into the tool, it was extremely unintuitive. It was just plain frustrating to use. And because of that, user adoption was extremely low. It was the wrong tool for Carson, and they needed to find the right one in order to realize their goal of leveraging CRM across all of their divisions to fuel sustainable growth. It needed to be intuitive and easy for people to use. It needed to provide quick access to granular data so salespeople could make better decisions faster and more consistently. It needed to give salespeople insights into their sales process, and where each customer or prospect was at in that process. It needed to help salespeople across all the company’s divisions coordinate their efforts in order to provide a higher level of overall customer service, ultimately increasing Carson’s overall share of wallet with each customer. In other words, it needed to provide Carson with the information it needed to be strategic about decisions at all levels. Simple, right? Actually, yes. Well, more or less. McCort began researching available options, and Ledgeview Partners’ CRM for Oil & Gas product, built on Microsoft Dynamics CRM, became an early frontrunner in his mind. McCort reached out to people he knew in the industry and asked them about CRM solutions. He got a particularly strong recommendation from a close friend, and it just happened to be for Ledgeview’s CRM for Oil & Gas. Since going live in January of 2015, Ledgeview Partners’ CRM for Oil & Gas has had a pronounced effect on the day-to-day operations of Carson. Adoption among employees has been very good, and it continues to grow as Carson brings in new employees who are trained to take advantage of it from day one. 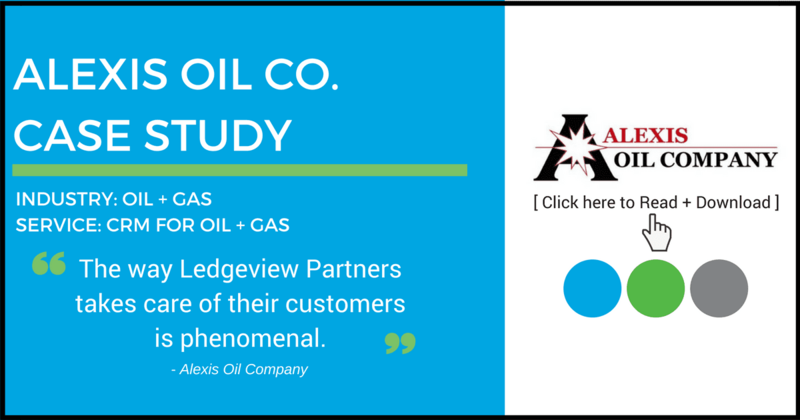 Most importantly, Ledgeview’s CRM for Oil & Gas has helped Carson realize its larger goal of leveraging CRM across all of its divisions to become more strategic and gain a larger share of wallet. Whether it’s simple improvements like quick and convenient access to last order reports, helping sales reps generate order activity with customers, or more advanced functionality like pipeline management, Carson has become much more proactive in managing its customer relationships. McCort provided a specific example of how CRM can improve relationships. Recently, one of Carson’s top lubricant customers was at risk. 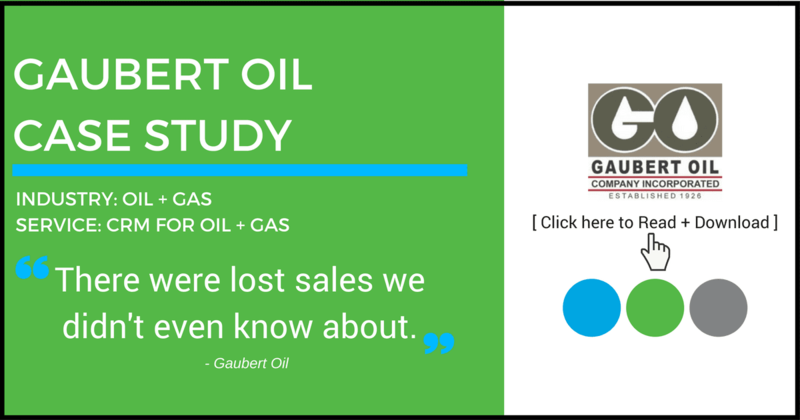 Ledgeview’s CRM for Oil & Gas allowed McCort and Carson’s CEO to look at the customer’s business in extreme detail in order to formulate a very strategic solution to the customer’s problem. That information helped Carson create an exclusive loyalty program that solidified the relationship with that customer. Nice. Our roots still remain strong in the petroleum products and services industry. We have expanded our business offerings to better serve your business needs. This allows you to work with one vendor instead of numerous vendors. Through a steady commitment to quality, Carson is a leader in the petroleum business. You will find that Carson offers value and competitive pricing. We are devoted to quality and service to help build valuable and long-lasting partnerships with our customers. In addition, we are an equal opportunity employer in Oregon, Washington, California, and Utah. We rank 18th on Oregon’s Business’s top 150 of Oregon’s privately held companies, an achievement made through providing excellent products and services. We are more than just a company, we are an organization that puts people first.